Are you looking for high quality professional carpet cleaning in South Bend Indiana? Look no further, Ionic Fresh Carpet Cleaning Services is a proven name in getting your carpet cleaner, stain and odor free, soft and residue free. We offer South Bend Carpet cleaning services and also in Mishawaka, Granger, Elkhart and Niles Michigan. Call on (574) 968-7396 to schedule your spring South Bend Carpet cleaning services. Ionic Fresh Carpet Cleaning Services will meet all your South Bend Carpet Cleaning needs. We will leave your carpet cleaner, fresh, soft, odor free and restored for your comfort. 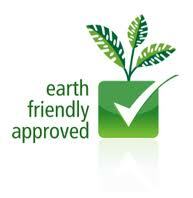 We strictly use green approved chemicals that are safe for you and pets. Our cleaning process does not leave any soil attracting residue. Contact us today on (574) 968-7396. We offer cleaning services for carpets, furniture, rugs, tile and grout within South Bend, Mishawaka, Granger, Elkhart and niles. Our cleaning is effective at removing most pet stains and odors. We utilize the steam cleaning process, recommended by 99 % of the major carpet manufacturers. Contact us at (574) 807-8195. For professional carpet cleaning that is safe and of high quality, consider Ionic Fresh located in South Bend Indiana. We specialize in both residential and commercial carpet cleaning, using approved industrial methods. We love to restore clean dirty floors such as carpet, tile, natural stone and granite. We are a professional cleaning company, with excellent results and satisfied customers within South Bend, Mishawaka, Granger, Elkhart and Niles. Ionic Fresh has saved home owners hundreds of dollars, by having their carpet restore cleaned instead of a replacement. We stand behind our services or your money back if not satisfied. We proudly serve South Bend, Mishawaka, Elkhart, Granger, Niles and the greater Michiana area. For more information, contact Ionic Fresh of South Bend Indiana, Tel # (574) 98-7396 or (812) 418-3627, Monday through Friday 6am to 6pm and Saturday 9am to 2pm. We are closed on Sunday. You can also email us to [email protected] or visit our websites www.ionicfresh.com or www.carpetfreshcleaning.com. We have a contact form on both sites that could be used to request a quote or more information.